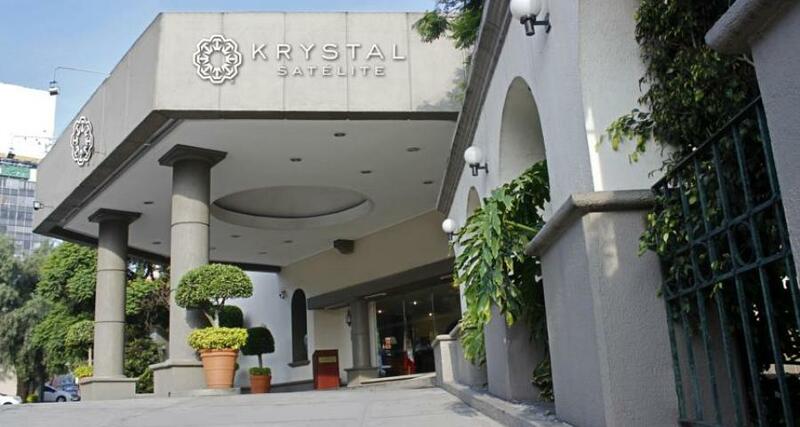 Krystal Satelite Maria Barbara is a 4.5* resort located in Mexico City-North Metropolitan Area, Mexico. It features 205 rooms and swimming pools. The beautiful Krystal Satelite Maria Barbara hotel is a great choice for business travelers, offering a convenient location in the metropolitan area of Tlalnepantla, situated just north of Mexico City. At this 10-story property, you'll come across a wide variety of services and amenities designed to cater to all of your travel needs. Take advantage of the hotel's excellent amenities, like lovely gardens, valet parking, a gym, a pool and Wi-Fi. You can easily get some work done during your stay thanks to an on-site business center and a variety of attractive meeting rooms.